In this work, it is aimed to construct an Adaptive Neuro Fuzzy Inference System (ANFIS) model using the experimental values of our previous work on solar heating with wind chimney thermoelectric generator and to predict the generated open circuit voltage of experimental system under variable conditions. The ANFIS model constructed makes use of input parameters such as local radiation intensity on solar collector tube (W), ambiance temperature oC and average wind velocity in the chimney (m/s). Open circuit voltage (V) is denoted as output. Selected experimental data sets are used in training and testing procedures to accomplish the model required. Assessment of the outcomes of the study reveals that the proposed modeling by ANFIS is consistent and validated by the experimental results. Promising results show that ANFIS model can be used to estimate the output parameter of solar-based generator (the open circuit voltage) correctly and this result can use enhancing of presented system. Employment of artificial neural networks on renewable energy systems is a rather new area of study. Hence, continuing work via neural network structures will be related to the optimization and improvement of these generators for useful energy producing. 1. Canbing L, Haiqing S, Yijia C, Jianhui W, Yonghong K, Yi T, Jing W, Comprehensive review of renewable energy curtailment and avoidance: A specific example in China, Renewable and Sustainable Energy Reviews, 2015, 41, 1067-1079. 2. 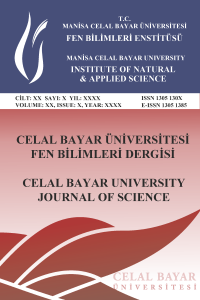 Ali, E.Ö, Yavuz K, Engin Ö, Tahsin A, The experimental design of solar heating thermoelectric generator with wind cooling chimney, Energy Conversion and Management, 2015, 98, 127-133. 3. Zuryati D, Nandy P, Ral A.K, The utilization of heat pipe on cold surface of thermoelectric with low-temperature waste heat, Applied Mechanics and Materials, 2013, 302, 410-415. 4. Michele, L.O, Emily W, Philip A, Parilla, Eric, S.T, Cheryl, E.K, Gerald, J.S, Samad, A. F, Bill, J.N, Andriy Z, Alan, A.G, Craig, S.T, Judy N, Matthew, H.G, Paul, F.N, Robert T, Lauryn, L.B, Allison G, David, S.G, A high-temperature, high-efficiency solar thermoelectric generator prototype, Energy Procedia, 2014, 49, 1460-1469. 5. Xing N, Jianlin Y, Shuzhong W, Experimental study on low-temperature waste heat thermoelectric generator, Journal of Power Sources, 2009, 188(2), 621-626. 6. David M.R, Thermoelectrics: an environmentally-friendly source of electrical power, Renewable Energy, 1999, 16 (1), 1251–1256. 7. Ono, K, Suzuki, R.O, Thermoelectric power generation: converting low-grade heat into electricity, Journal of the Minerals, Metals & Materials Society, 1998, 50(5), 12–31. 8. Samir B, Mauro B, Alessandro Z, Stefania S, High efficiency Thermo-Electric power generator, International Journal of Hydrogen Energy, 2012, 37(2), 1385-1398. 9. TECTEG MFR, http://thermoelectricgenerator. com/wp-content/uploads/2014/04/SpecTEG1-12611-6.0Thermoelectric-generator1.pdf (Accessed 05.05.2018). 10. Narong V, Jongjit H, Joseph K, Michel D, Design and analysis of solar thermoelectric power generation system, International Journal of Sustainable Energy, 2005, 23(3), 115–127. 11. Perumal R, Narasimhan, K.R, Ruchi G, Development, design and performance analysis of a forced draft clean combustion cookstove powered by a thermo electric generator with multi-utility options, Energy, 2014, 69, 813-825. 12. Kyeongsoon P, H. K. Hwang, Jang, W.S, Wonseon S, Enhanced high-temperature thermoelectric properties of Ce- and Dy-doped ZnO for power generation, Energy, 2013, 54, 139-145. 13. Gökhan K, Ali, E.Ö, İlyas E, Reviewing and designing pre-processing units for RBF networks: initial structure identification and coarse-tuning of free parameters, Neural Computing and Applications, 2013, 22, 1655-1666. 14. Xiaobing K, Xiangjie L, Kwang, Y. L, Data-driven modelling of a doubly fed induction generator wind turbine system based on neural networks, IET Renewable Power Generation, 2014, 8(8), 849 – 857. 15. Liu Y, Holmes P, Cohen J, A neural network model of the Eriksen task: reduction, analysis, and data fitting, Neural computation, 2008, 20(2), 345 – 373. 16. Xue-Bin L, Jun W, A recurrent neural network for nonlinear optimization with a continuously differentiable objective function and bound constraints, IEEE Transactions on Neural Networks, 2000, 11(6), 1251 – 1262. 17. Ravinder, K.K, S.L. Shimi, Shantanu C, Fahim A, Modeling of solar PV module and maximum power point tracking using ANFIS, Renewable and Sustainable Energy Reviews, 2014, 33, 602-612. 18. Jang, J.S.R, ANFIS Adaptive-Network-Based Fuzzy Inference Systems, Man and Cybernetics, 1993, 23, 665-685. 19. Jang,J.S.R, Mizutani, E, Levenberg-Marquardt method for ANFIS learning, Fuzzy Information Processing Society Biennial Conference of the North American, Berkeley, CA, 1996, pp 87 – 91. 20. Shoorehdeli, M.A, Teshnehlab, M, Sedigh, A.K, Novel hybrid learning algorithms for tuning ANFIS parameters using adaptive weighted PSO, Fuzzy Systems Conference, London, UK, 2007, pp. 1 – 6.